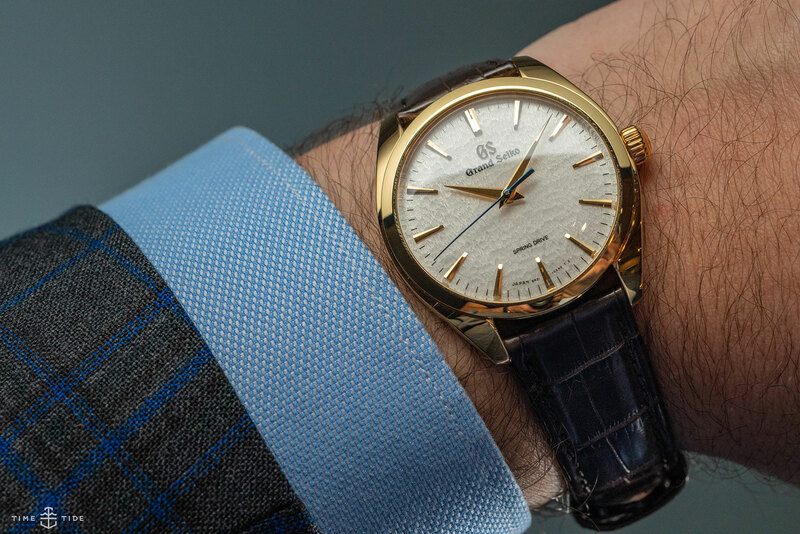 It’s been an excellent crop of new releases for Grand Seiko, and hiding amidst a healthy assortment of models came this gem — the yellow gold SBGY002. 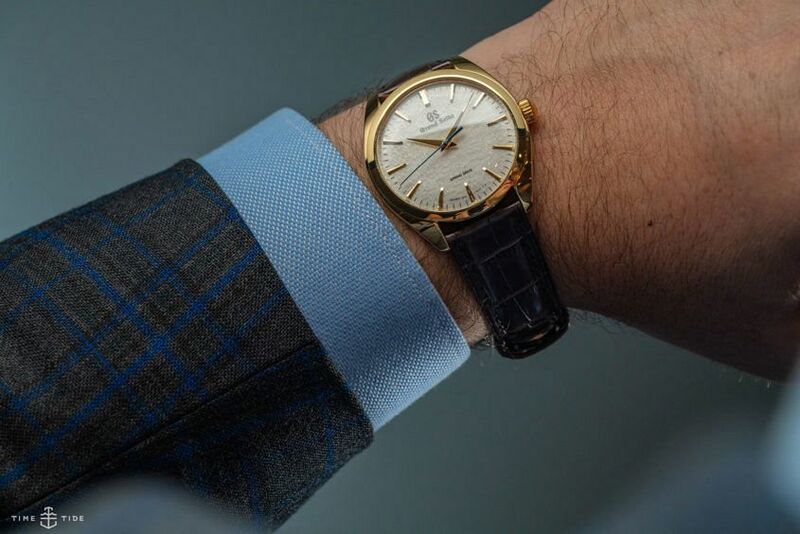 Using a new hand-winding 9R31 Spring Drive movement with a power reserve of 72 hours, the new piece mates a variation of the brand’s iconic Snowflake dial with a more traditional and slender dress watch casing. 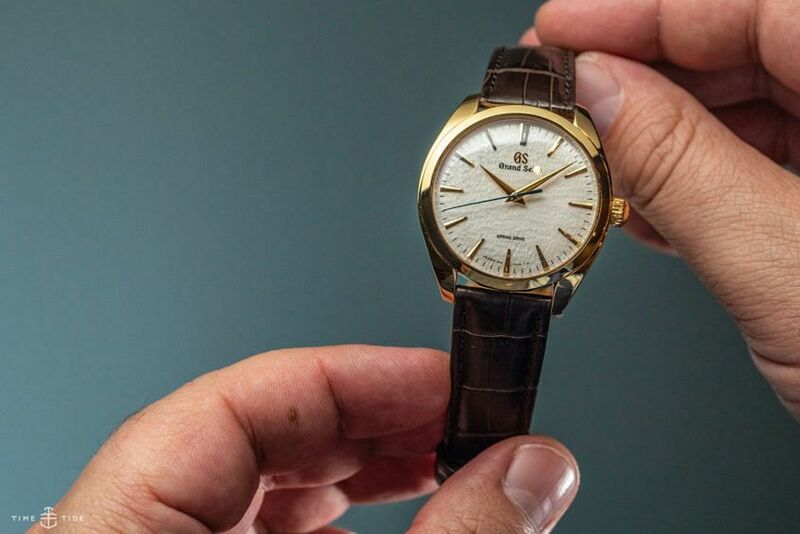 Coming in north of $25K, it’s obviously a different beast to the classic Snowflake model; however, the new piece is yet another example of how Grand Seiko just isn’t pulling any punches when it comes to delivering impeccable design, finishing, and attention to detail when compared to any of their Swiss competition. This piece is one of four new models in the same vein; it is flanked by a pair of platinum-cased models at the upper register, and a more restrained steel model at the other end of the spectrum. All four models were launched as part of Grand Seiko’s celebration of the 20th anniversary of Spring Drive. While our topic at hand (as well as the steel model) are manufactured in the Shinshu Watch Studio, where all other Spring Drive watches are made, the platinum models are built in the Micro Artist Studio in the same complex. In the case of these Micro Artist Studio watches, dials, hands and other components are all manufactured and finished under the same roof. This is also where complex creations, like the Credor Minute Repeater, are built, among other things. Back to the watch at hand, the biggest talking point here is the development of its 9R31 movement. Based on the 9R02 that powers the new platinum models, the calibre forgoes a new trick “torque return system” that its big brother uses to extend its power reserve to eight days, in favour of a slightly less complex execution to keep costs and complexity in check. It still uses a pair of mainspring barrels, as well as a small power reserve indicator on its movement bridge. Differentiating the two calibres when viewed from the “business end”, the cover of the mainspring barrel is decorated with cutouts resembling a flower on the 9R02, and its mainplate/movement bridge is split into two large sections rather than a single piece for the 9R31. Being a Spring Drive calibre, you’re still looking at an impeccable accuracy specification of within one second a day, and thanks to not using a self-winding rotor, the movement is able to pack into a modestly sized 10.2mm-thick case that measures 38.5mm across. Good as those case proportions look on paper, this thing is an absolute hero on the wrist. I’ve always adored the execution of Grand Seiko hands and dials, but mating those features to a slender dress watch case is an absolute home run. Granted there’s something to be said for the chunky and casual vibe of the classic SBGA211 Snowflake model, but even with the same dial texture, the two models are so vastly different when seen in the metal. That said, as cool as it would have been, there’s good reason that Grand Seiko didn’t cannibalise sales of the original Snowflake by offering this dial variant in a steel case. 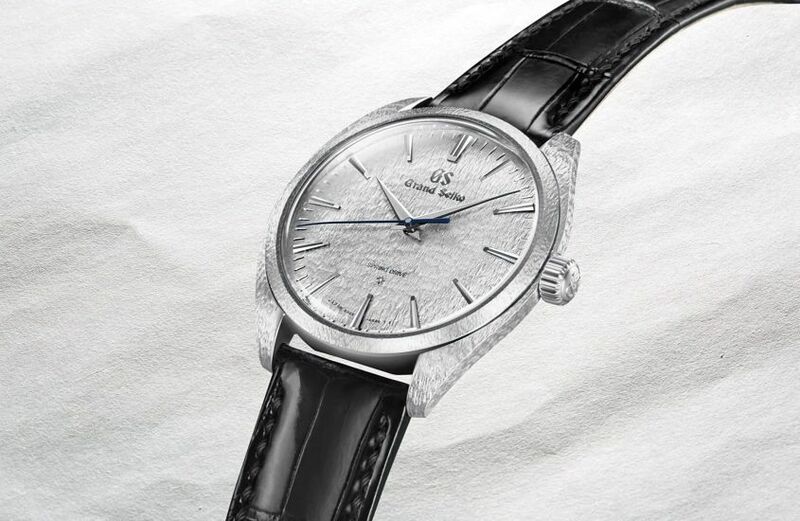 Given that this introductory anniversary model is limited to only 700 pieces, we will be curious to see if other Snowflake-dialled models (or any other elaborate dials for that matter) appear in steel cases in the years to come.